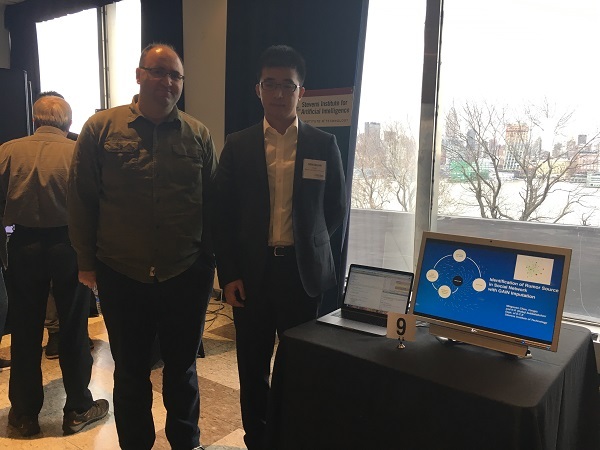 In late November, Stevens Institute of Technology (Hoboken) celebrated the launch of its Stevens Institute for Artificial Intelligence (SIAI), with an expo of student and faculty work in this area and a roster of speakers discussing the importance of bringing all AI and machine learning research under one roof. The university assembled an audience for this event that included key industry and government representatives from NASA, IBM, Pfizer and elsewhere. As many computer scientists realize, AI and machine learning are the plumbing built into many new game-changing applications. At technology universities like Stevens, this means that basic research on AI and applications for AI are typically scattered across many departments. 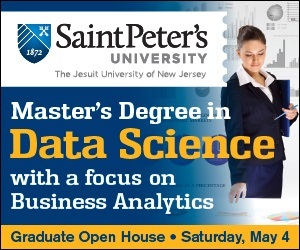 More than 50 faculty members at Stevens are involved in the study or teaching of AI and machine learning. SIAI is a way for all practitioners who are involved in AI development in a diverse range of disciplines, such as healthcare and agriculture, to come together, collaborate or discuss their work. The organization will also act as a single point of interaction for companies that might want to use some of Stevens’ AI innovations or work with researchers. 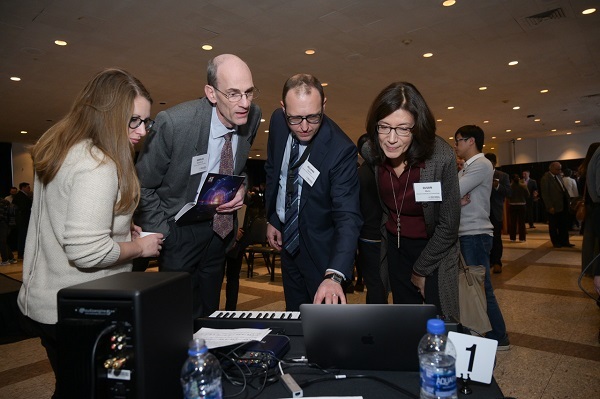 “SIAI is an interdisciplinary, technology-driven, collaborative enterprise which encompasses research, development and teaching programs,” said Christophe Pierre, Stevens provost and vice president for academic affairs. 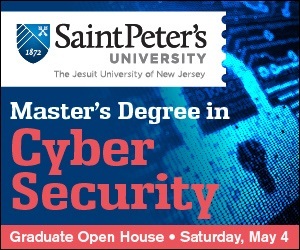 As of this semester, Stevens has introduced several new courses in AI and has recruited new faculty members, both in computer science and in application areas like engineering, science, systems and enterprises, he said. How diverse the applications for AI and machine learning are was evident at the showcases viewed before and after event. One team was applying AI to music, another to identifying fake voices, a third to how rumors get started, a forth to wearable cardiovascular monitors, yet another to fintech and so on. He also said that the proximity of the university to Google, Facebook and now the new campus of Amazon gives Stevens a special opportunity to partner with these giants. “Industries with a strong presence in New Jersey such as pharma, healthcare, finance, telecom and energy” will also benefit from the work that will take place at SIAS, he said. 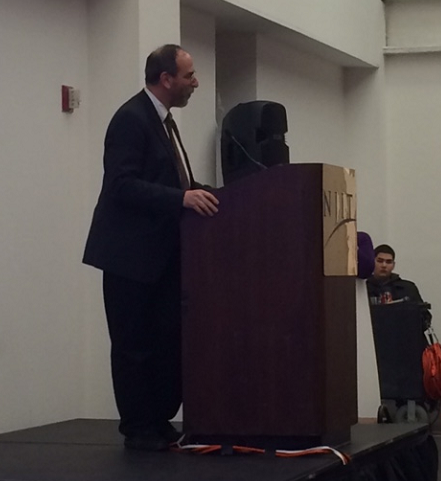 “Hold onto your seats because the changes will be very rapid and very, very dramatic,” Farvardin told the audience. While Farvardin predicts that AI will create groundbreaking applications and fabulous careers, he has no doubt that it will also abolish jobs and create significant new socioeconomic challenges, eliminating the careers of “many financiers who work across the river,” many healthcare specialists and many paralegals. “These machines don’t know how to form unions and they don’t need the heavy cost of healthcare associated with them; and these jobs will be, over time, eliminated.” The university needs to work on these social issues as well as on creating new technologies, he said. 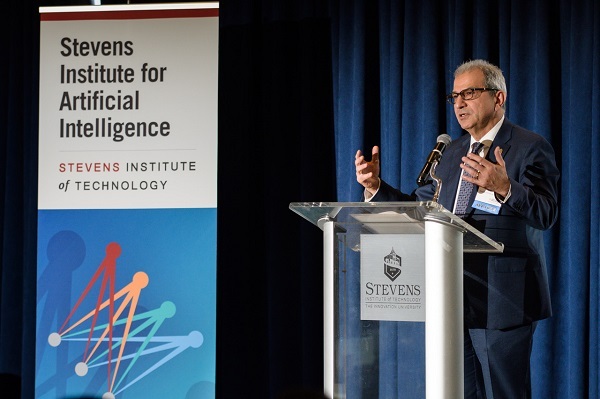 Hoboken Mayor Ravinder S. Bhalla congratulated Stevens on the establishment of the institute and noted that Hoboken likes to think of itself as ahead of the curve. 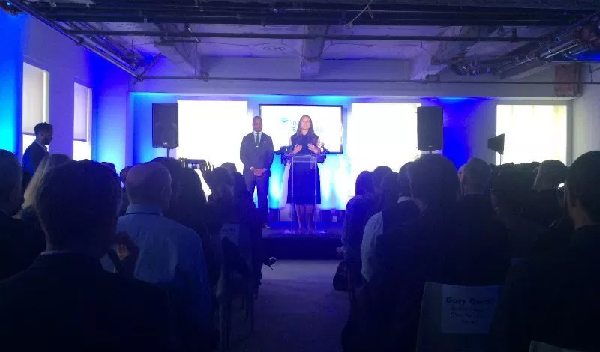 “Hoboken itself is growing into a more technology-driven town. We’ve got businesses on the waterfront such as Jet.com, EY, Pearson, Thomson Reuters, Wiley and others. 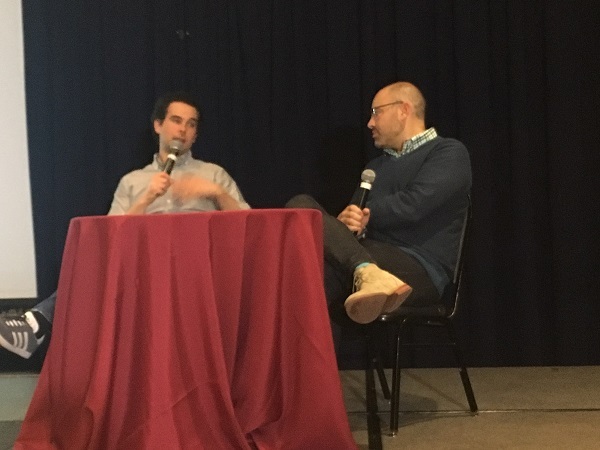 There are also tech-based startup companies, and Stevens has been no small part of that,” he added, citing the Stevens Venture Center, a tech incubator in the Pearson building. SIAI’s founding director, K.P. “Suba” Subbalakshmi, said that institute will be focusing on nine specific areas of expertise in AI: art and music; cognitive networking and computing; cybersecurity; environment and energy; fintech; foundations of AI and machine learning; healthcare and biomed; robotics, perception and human machine interaction; and societal impact. 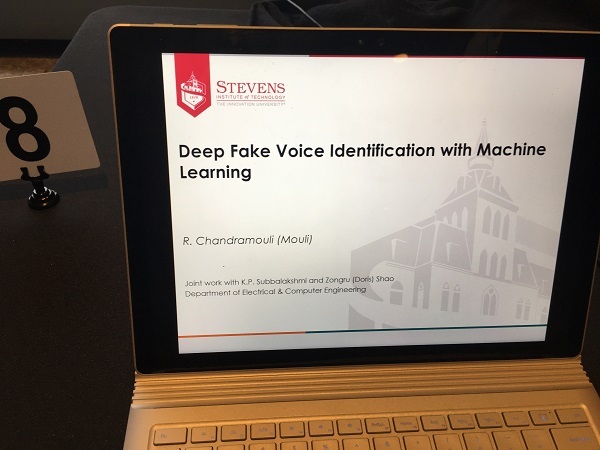 The gathering was meant to give people from industry and other universities who were working in or interested in AI a way to meet faculty and students at Stevens who are involved in the area, she said. SIAI is working on a program to help industry access talent in AI and to give industry a “front seat” on new research as it is happening.